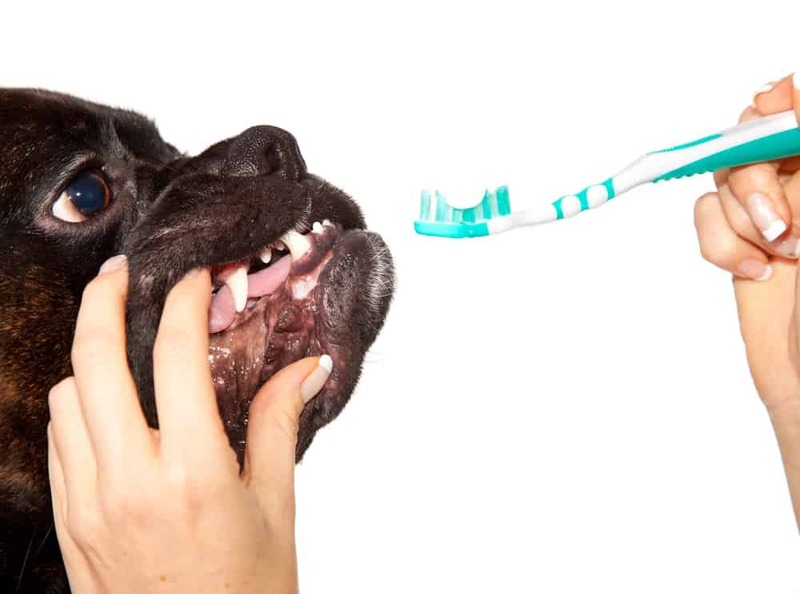 Aside from regular brushing, there are some other ways to ensure your dog’s dental health – and some pretty cool reasons why they’re important. Just check out these five fascinating facts about your dog’s teeth. Your dogs will have two sets of teeth in their lifetime. First, a set of 28 puppy teeth will force their way through the gums at about 3-4 weeks of age. These are the sharp little milk teeth that are so amazing at ripping through flesh (as any puppy owner can attest). They are very useful for your puppy’s first exploration – as young pups tend to determine what an object is by mouthing it. Eventually, the adult teeth force their way through the gums, pushing puppy teeth out. These are the teeth that can cause serious damage should they ever be used in a bad way – they’re permanent (if taken care of! ), strong, and depending on the breed, can grow quite large. 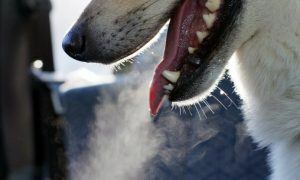 Dog’s teeth are living tissue, just like our own set of chompers. Each tooth has parts to it – the actual tooth is the core (called pulp) that is covered by bone, which is covered by a layer of dentine, and finally a layer of enamel. The pulp is what supplies nerves and blood vessels to the tooth to help keep them healthy. Because teeth are alive, damage or tooth decay can lead to serious pain. That’s why dental health is such an important topic. Luckily, aside from regular brushing, there are many ways to keep your dog’s teeth healthy and strong. 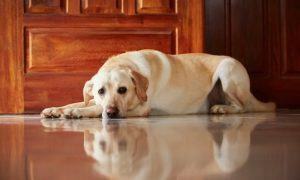 Water additives offer plaque-busting protection every single time your dog drinks from his bowl. Edible dental chews contain ingredients designed to clean and care for teeth, and oral sprays not only prevent plaque, but freshen breath, too! Dogs have 42 teeth as adults! In puppyhood, dogs only have 28 teeth (also known as “milk teeth”). But, eventually their permanent teeth come in for a total of 42 (twenty on the upper jaw, twenty-two on the bottom jaw). By the time the adult teeth come in, your dog will have lost all of his puppy teeth. Most dogs are finished teething around six months old. You can help your puppy bring in his adult teeth by providing plenty of puppy chews to help offset the pain of bringing these new teeth in (just like we do with infants). Incisors: These are the small teeth in your dog’s jaw. They are used for scraping flesh from bones in the wild and for picking up items (like their favorite chew toys). Your dog has 12 incisors (6 on top, 6 on bottom). Canines: Also known as “fangs”, these are the teeth used to grip things your dog is trying to hold rather than eat. If you’re bitten, it’s usually the fangs that penetrate. Your dog has four canines (two on top, two on bottom). Premolars: This is what your dog’s does his heavy chewing with. These teeth run up the sides of your dog’s mouth and he has four on top, four on bottom. Usually, whatever your dog chews with these teeth is what he will eventually try to ingest. 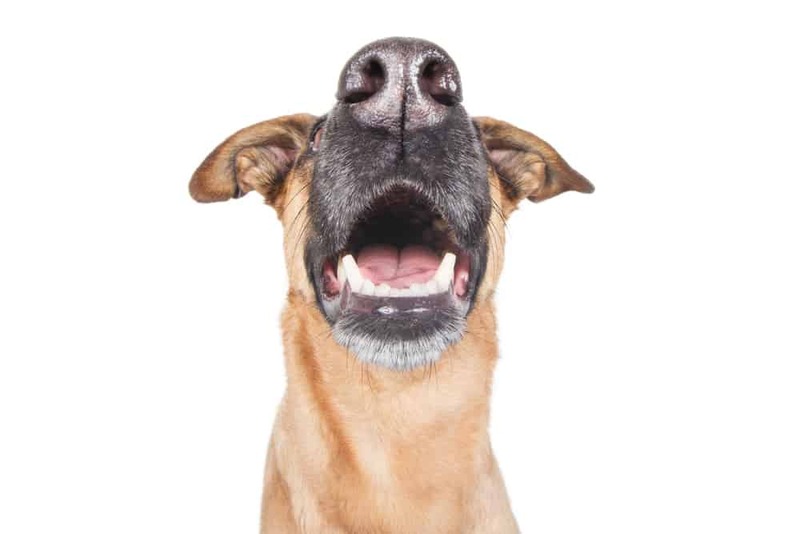 Dogs usually have four on the top and bottom of both sides of their jaw just behind the canines. Nearly all dogs have a total of sixteen premolars. Molars: These are located behind the premolars and they usually have two on both sides of the jaw, with three on each bottom side (for a total of ten). But, this will depend on the breed of dog and the size of his mouth. Molars are used to grind grasses and other plant material, and to break down sources of protein so your dog doesn’t choke. And, although they get a bad rap, the American Pit Bull terrier had one of the lowest bite forces of the large dogs tested. 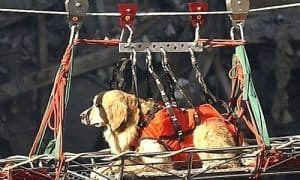 Of course, bite force will change according to the breed or size of dog. The records for the strongest bites of domestic dogs are actually held by Shepherds and Rottweilers. Dogs rely on us to help them keep their teeth clean and working. This means getting them to the vet for checkups and regular dental exams. 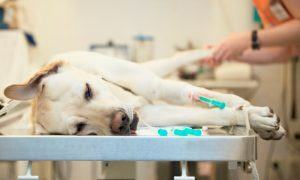 Regular dental exams ensure things like cavities, gum disease and broken teeth don’t jeopardize your dog’s health. 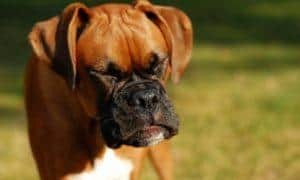 Dental problems can be very painful for your dogs and in this age of new toys and indestructible chews, they occur quite often. Buy Dog Dental Care Supplies Today – Shop over 1,000 Brands at Chewy! 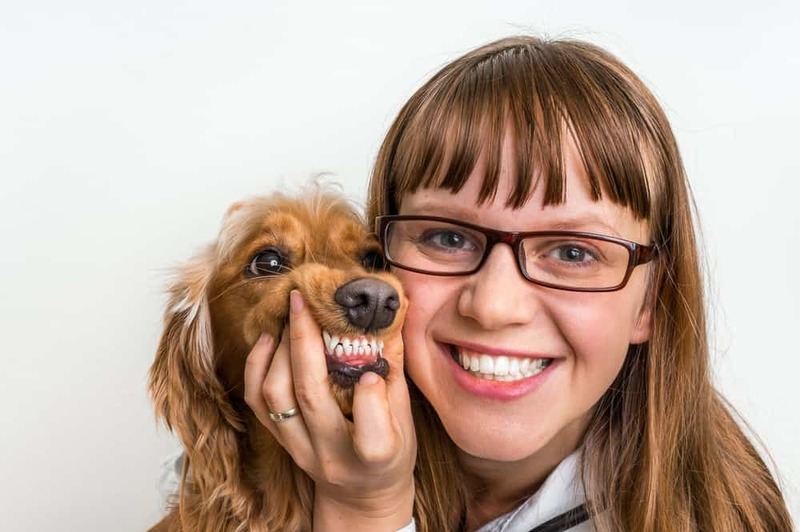 Your pet’s dental health is a large part of their overall health. 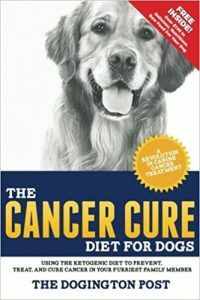 Many diseases are only evident by looking at the condition of your dog’s mouth. 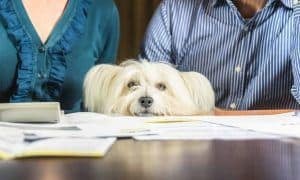 So be sure you talk to your veterinarian about the best dental schedule for your pets and stick with that important program. 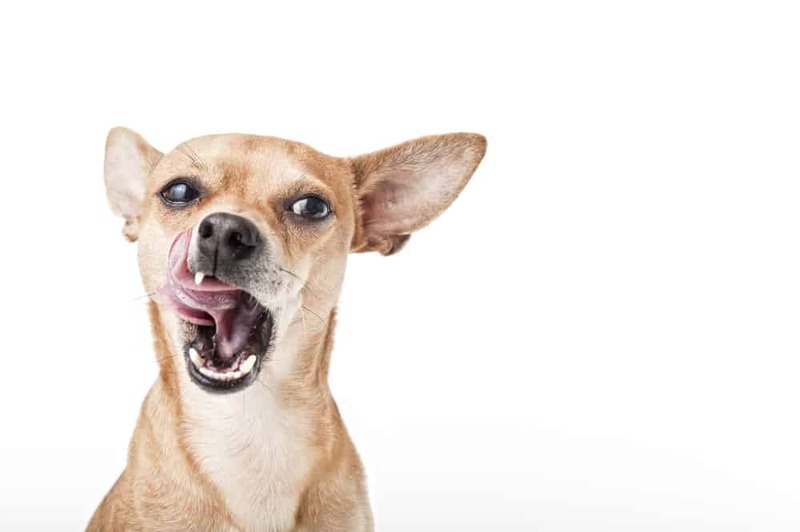 Is Your Dog’s Bad Breath Killing Him?